Free Delivery and Collection service within a 5 mile radius. Duvets laundered from £14.99 and includes a complimentary breathable storage bag to freshen them between use and helps keep the bed bugs away! Pillows laundered from £9.99 per pair. Blankets and throws from £9.50 each. Bedding – Duvet covers, sheets, pillow cases etc (washed, dried, pressed and packed). Service washes – no time to do your laundry or laundry machine breakdown? (washed, dried, folded and packed). 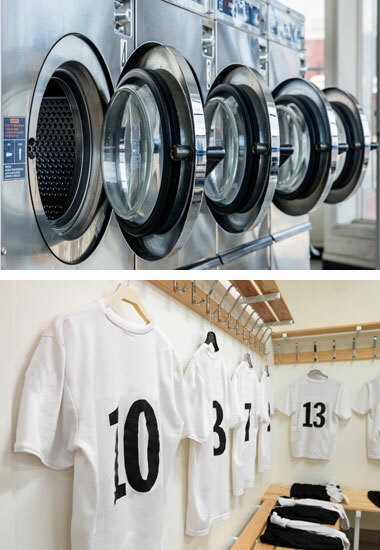 State of the art washers and dryers to ensure top quality finishes and superior ‘Proctor & Gamble’ products used.